Deborah Klein's Art Blog: PAGE.PRINT.POST. Last weekend’s highlight was unquestionably the launch of PAGE.PRINT.POST. 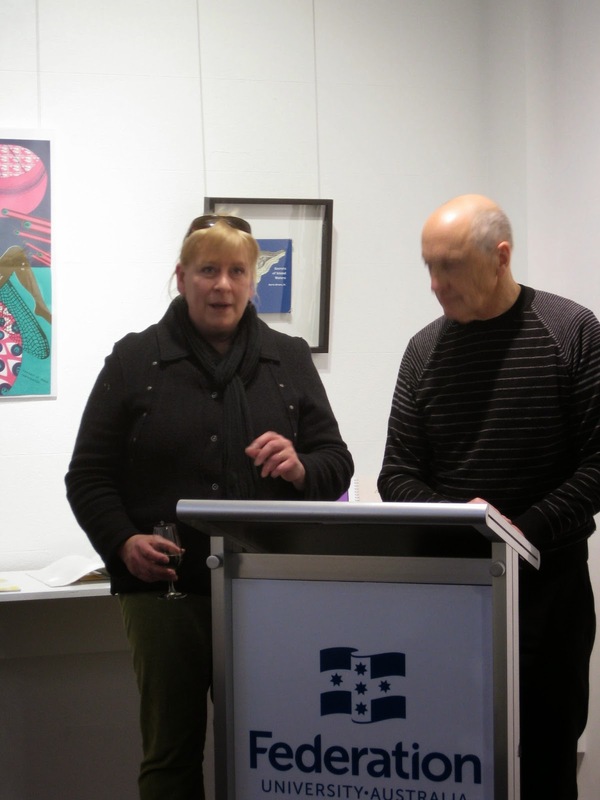 50 Years of Artist Books at The Post Office Gallery, Federation University-Australia in Ballarat. The exhibition, which is curated by Debbie Hill and Geoff Wallis, is a must-see for book art enthusiasts on any level. For more about PAGE.PRINT.POST. visit Moth Woman Press HERE and HERE. The exhibition runs until August 9.